Can I live in my investment home? Can I partner my IRA? Get answers to your questions about all things regarding Real Estate IRAs right here. Can I live in my IRA-owned investment property? Or use the property as a second home? No, the property is for investment only and you are considered a disqualified person. The direct or indirect furnishing of goods, services, or facilities between an IRA and a disqualified person is not allowed. See IRS Code 4975 for information on prohibited transactions, disqualified persons, and self-dealing. Can my kids or other family members live in the IRA-owned property and pay me rent? No, they cannot, they are considered disqualified persons. You cannot buy a house or vacation property for you or your lineal ascendants or descendants to use while your IRA owns it. See IRS Code 4975 for information on prohibited transactions, disqualified persons, and self-dealing. Are there restrictions on the type of property I can purchase? Am I restricted to residential real estate? You are not limited to residential real estate. Your IRA can hold various investment property types including: residential, commercial buildings, vacant land, condos, mobile homes, apartment buildings and more. Can my IRA purchase property that I already own? No, this is a prohibited transaction. See the IRS Code 4975 for information on prohibited transactions, disqualified persons, and self-dealing. Can I sell the property to myself? No. Pursuant to IRS Code 4975, the direct or indirect furnishing of goods, services, or facilities between an IRA and a “disqualified person” is prohibited. You can however, distribute the property in-kind but it will be a taxable event. Can my IRA borrow money to purchase the investment property? Yes. Your IRA may obtain a non-recourse loan, but keep in mind that in a non-recourse loan, you may not use your personal credit to facilitate the loan. The IRA is the borrower of the note and deed of trust, and the loan documents are signed by Entrust on behalf of the IRA at the direction of the IRA holder. Can I get a personal loan on the property that my IRA owns? No, using an IRA asset to secure a personal loan is prohibited. Any amounts on an IRA pledged for a loan becomes taxable. What if I already have a contract in my name and I want the IRA to purchase the property? The contract must be vested in the name of the retirement plan because the IRA and the IRA holder are two separate entities. The proper way to handle this is to start a new contract using the correct vesting. Can the rental income from the property in my IRA flow back to me personally? No. However, you can request the funds in your IRA to be sent to you as a distribution. Am I required to rent the property or can it be vacant? The property doesn’t have to be rented as long as the IRA has sufficient cash to pay for all the expenses related to the property. If there is insufficient cash to cover the expenses, the IRA holder has the option to rent the property, transfer funds from another IRA, make a contribution, or liquidate other IRA assets to pay for the expenses. Additionally, investors can fix and flip homes or hold on to rental properties for a flow of passive income with a Real Estate IRA. Can I be the property manager? No, but Entrust does permit the IRA owner to receive the rental income for record keeping, but the actual funds must be sent to Entrust for depositing. You cannot pay yourself income from profits generated from your IRA’s rental property as it is considered self-dealing. Do I need a property manager to manage the property within my IRA? No, it is not required. Some of our clients, however, choose to use a property manager for the purpose of consolidating the various expenses. Another advantage, if you are partnering with others, is that your tenants do not have to write multiple rental checks to the various investors. They just write one to the property manager, who then distributes the percentages accordingly. How is the rent collected on rental property? If the property is being managed by a property manager, the property manager collects the rent and sends it to Entrust for deposit, along with the profit and loss statement. It is preferred if the profit and loss statement is sent monthly. If a property management company is not managing the property, the rental income should be deposited directly to the IRA account. Why do expenses like utilities, repairs, taxes, and mortgage need to be paid from the IRA account? Essentially it’s your IRA that owns the property and not you personally. Any income or expenses from an asset within your IRA must be received and paid via the IRA. You cannot use personal funds to pay for expenses incurred by the asset within your retirement account. See IRS Code 4975 for more information. What expenses on the property can my IRA pay for? What is not payable from the IRA? Regular real estate expenses, such as mortgage payments, property taxes, insurance, HOA dues, and repairs and maintenance, must be paid from the IRA. If these expenses are paid with personal funds, the IRA cannot reimburse you. Doing so is a prohibited transaction. Any payment to an IRA holder from an IRA, whether or not claimed as a reimbursement, is a distribution and must be reported on IRS Form 1099-R and therefore, subject to inclusion in gross income. What do I do if my IRA doesn’t have sufficient funds in the account to pay for the expenses? You have a few options: Make your yearly contribution to your IRA account if you are eligible to make one, transfer funds from another IRA account, liquidate other IRA assets to free funds, get a non-recourse loan, or sell the asset. What are the different considerations for purchasing offshore properties? First, verify that the title can be held in the name of the IRA. Some countries require that land be held in the name of an entity. In this situation, you may need to establish an entity to proceed with the purchase. It is best to involve a legal counsel and other advisors knowledgeable of the specific the country’s laws before purchasing offshore property. You should allow for additional time to close an offshore real estate transaction. What due diligence should be performed prior to making a real estate purchase? 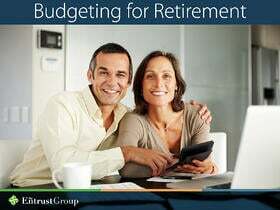 Verify that the title can be held in the name of an IRA or qualified plan. Verify that the title company is familiar with self-directed IRA transactions. Set a realistic timetable for the transaction. Decide on how the property is best acquired: direct real estate purchase or through a corporation, trust, or other entity. Find someone local to handle property management and other property maintenance services. A non-recourse loan is a loan that is secured only with collateral, which is usually the property. If the borrower (IRA) defaults, the lender can seize the collateral, but cannot seek to collect from anyone else including the IRA holder—The lender has no recourse—for any further compensation, even if the collateral does not cover the full value of the defaulted amount. In this situation, the IRA holder does not have personal liability for the loan. The IRA owner must do the research to source out non-course loan lenders. “Unrelated business income” is income from a trade or business, regularly carried on (showing frequency and continuity), that is not substantially related to the purpose of a retirement account. The Unrelated Business Income Tax (UBIT) was created by the Congress to level the playing field for businesses established under the umbrella of a tax-exempt entity, not to have a competitive advantage over other businesses outside of a retirement plan. Both should shoulder their tax responsibility. What is Unrelated Debt-Financed Income (UDFI)? Unrelated Debt-Financed Income (UDFI) is generated when an IRA borrows money to purchase real estate. UDFI is the result of Acquisition Indebtedness on the portion the IRA investment purchased using a loan. Having UDFI also will require filing an IRS Form 990-T.